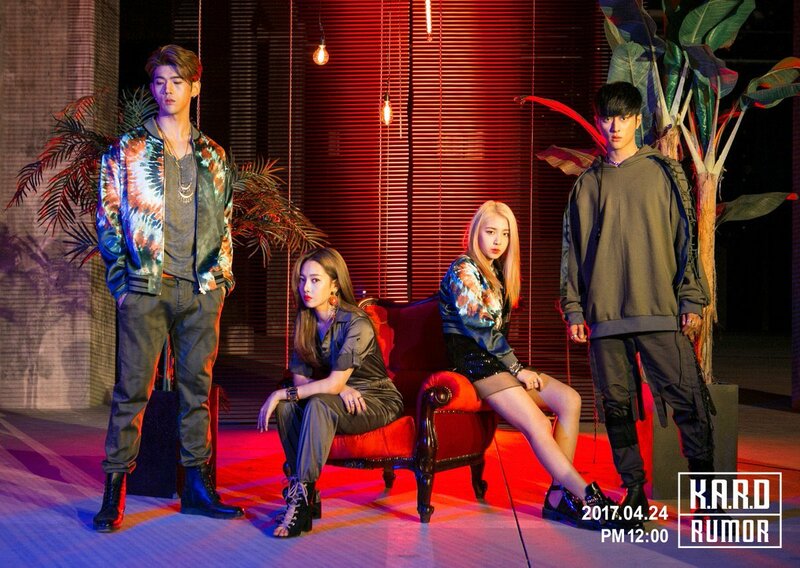 Finally the day came, The day of the Wild KARD concert in Lisbon. Only 1 month ago I have been searching on where to buy the tickets for Portugal. Back then I was forced to get the tickets with Hi Touch because the normal tickets were sold out before I even could open the page. However, I felt slightly excited but also a little worried, and here is why.. Please note this is based on my personal experience and happenings. We hereby do not mean to harm or hurt anyone. Thank you. So first of all i have been searching all the pages on where to find the “Early entree” time. It was literally no where to be found. I tried to contact the ticketmaster, unfortunately i was not able to get anyone on the phone. I tried calling the venue, Time out, but this too was a dead end. I have been spamming several Portuguese KARD fan sites, but as i still don’t speak fluent Portuguese, and i am not sure whether the Portuguese people just don’t know how to, or don’t feel like typing English or helping someone English out, i basically never got any reply. After this failure, i decided to reach out to the venue by Facebook. They must have more information, right? Well, i was wrong, once again. They told me to email to a specific email address, which was said to be the organisator. Of course i did so, but even until today, i just never got a reply. Kudo’s for Organisation and informing the people. I decided to let my friend, who would join me in this adventure of a concert, post something under my name in Portuguese. This was the only way to get any information on the times and schedules. We finally figured out the times. The early entree was said to be at 17:30 and the Hi Touch event was after the concert. We got the purple one. Then the waiting game started. The rows were a complete mess, a girl, that seemed like a normal fan said to us to stand somewhere and NOT let anyone stand infront of us or move away from our place. A moment later another person came saying we should make space and move backwards, only to be called back again. There were no seperations to form the rows or whatsoever. It felt like a complete mess, and even though the early entree should’ve started at 17:30, it wasn’t until 18:30 that we were let inside. Only a mere 10 minutes before the Blue ticket holders. This caused a very bad effect, since here too were no seperations. Many of the Blue KARD tickets felt the need to push their way forward. There was one girl who even asked if she could pass because “she could not see it”. Of course we told her that we could not see well either and we paid more. She just shamelessly walked away. Even though the messy circumstances, we tried to keep the spirits high. The venue itself was warm and small, maybe too small. It was basically a big attic. The sun was shining inside through small higher windows, the black curtains made it even worse. It was extremely warm and no one gave others space, causing the heat to be even worse. The security did a good job, they informed us that whenever someone would feel bad, we had to help them in bringing the person to safety. This happened a few times, of course, as the venue was way too warm and crowded. The stage was quite big, seeing the space we had, it wasn´t all too high, which made it hard to see for many people, including us. However, knowing from experience, this does not always mean you won´t be able to see the artists themselves. All the way in the back of the room, near the entree was a small bar, it was hidden away behind a seperation. Beside pushing and screaming all the times, trying to get in front of others, the fans were divided in 2 teams. one part wanted everyone to sit down, which would have been a nice plan IF they started it from the moment people entered. They kept chanting “Sit down” in Portuguese. Half of the fans actually sat down, but those in front did not listen and refused to sit down. I was really aggravated by the pushing fans, which were mostly the blue-band fans. They tried getting in front of everyone by pushing and pulling, this really worked on my nerves. When the concert started, the portuguese fans didn´t stop screaming and singing along too loudly, causing it to be more of a sing along event rather than a concert. I was standing quite in the front, but there was just no way i could hear KARD sing. Maybe they should´ve turned up the microphones audio too, but the room was just too small to have a nice hearing sound, causing the fans singing to overrule KARD. When the KARD members spoke up, people did not give it a rest and kept on screaming. We also could not see much do to all the smartphones. If i wanted to see the smartphone on a screen i would have wait until the Concert DVD was released.. We were not able to hear a thing. The fans only shut up when the Portuguese narrator started talking. Way to go, Portugal! The KARD members seemed really nice and sweet. They asked if the people could give some more space because of the fans in the front, and even though constantly being interrupted by screams they did not become angry or aggravated at all. They played some mini games and seemed like nice, fun people. Their clothing styles were nice too, from Denim jackets to simple white tanktops, of course they did not change outfits during the concert/event. As it was not really a concert after all, seeing they only had 5 songs and some covers to sing, I’d rather refer to this as an event. However, as far as i could hear their singing was very good, but because of the fan girls i was not able to hear it clearly. Seeing people leaving the room crying and excited i actually unconsciously started expecting a lot from the HiTouch event. However upon entering it was really just an high 5 event. They thanked you or said some sweet words, while you walk past them, touching their hands in a High 5 way. It was nice, but very quickly. People were not able to give presents or talk a bit, probably due to safety procedures and time limits. It was nice to see them up close but also a little bit weird, since i was feeling all sweaty and dirty because of the concert. Luckily i prepared myself with at least some deodorant and perfume, to not make me smell like a wet towel that lied in the corner of a gymshower for the past 5 weeks. It was probably the nicest part of the whole concert, just because there were no screaming people, no pushing and you could actually hear their voices, even though it was just a small “Thank you”. Well, reading this small adventure through heat and sweat, you might probably already noticed that the organisation of this event was really, really bad. I am definitely not satisfied with it and i am very sad that it was this poorly organised. The fact that the fans had to take it over says enough, probably. A big thank you to those specific fans, because without them, it would be even more of an uncontrollable mess. Those people actually managed to get rows based on ticket numbers and such. It takes a lot of effort to move around 700 (roughly estimated on ticket numbers I´ve seen around) fans. The fans were, at this part, very obedient. All together i am really disappointed, not with KARD but rather with the Portuguese people. In contrast to the Block B concert in Lisbon back in February, where Mayo and I went together, this was so badly organized, the fans had no respect at all. I have even been called “F****** Crazy” for just standing my ground while being pushed by the fan girls. I really hope the people in other countries did not behave like a horde of crazy wild bison and actually showed some respect to the artists. I also truly hope that other people will enjoy the show more than i did. I know for sure, that if i ever get the chance to see KARD again, it will NOT be in Portugal. This was by far the worst concert i have experienced. I hope KARD will continue their tour well without any casualities or unfortunes. They are great people and artists and I think they will make it far into the K-pop world. At least their western popularity already rose above the rooftops.